 A reliable source for Industrial Dryer Manufacturers information and a resource for accessing leading Industrial Dryer Manufacturers and suppliers. Generally speaking, the term “industrial dryers” applies to any machine that removes liquid or moisture from bulk materials. Industrial dryers are much larger than the average domestic dryer and are not to be confused with at-home laundry dryers or industrial hand dryers. Some of the industries that rely most heavily on industrial dryers include water treatment, air control and pollution control, food processing, paper and pulp, agriculture, pharmaceuticals, plastics, and industrial manufacturing. Industrial Dryers Generally speaking, the term “industrial dryers” applies to any machine that removes liquid or moisture from bulk materials. Industrial dryers are much larger than the average domestic dryer and are not to be confused with at-home laundry dryers or industrial hand dryers. Carrier is a manufacturer of high quality dryers in addition to many other related products, including coolers, screens, air knife separators, spiral elevators, feeders & conveyors. 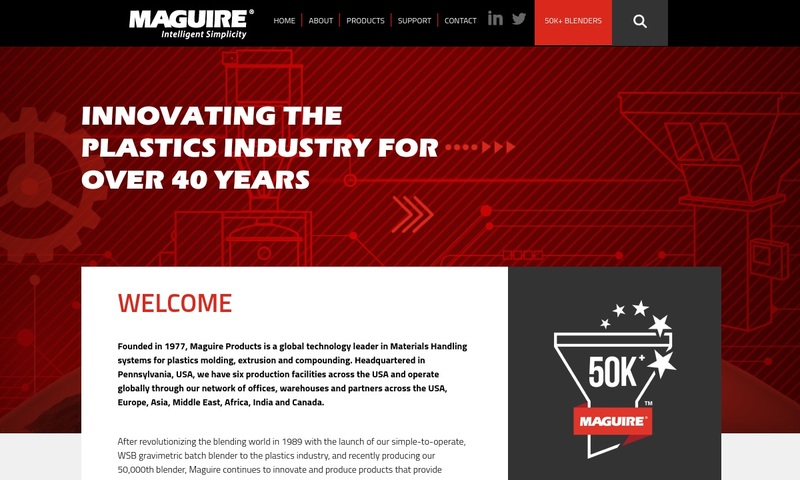 Maguire Products serves the plastic industry by providing the necessary equipment. Our manufactured products include purging recovery systems, sweeping systems, dryers, feeders, pumps, granulators and more. 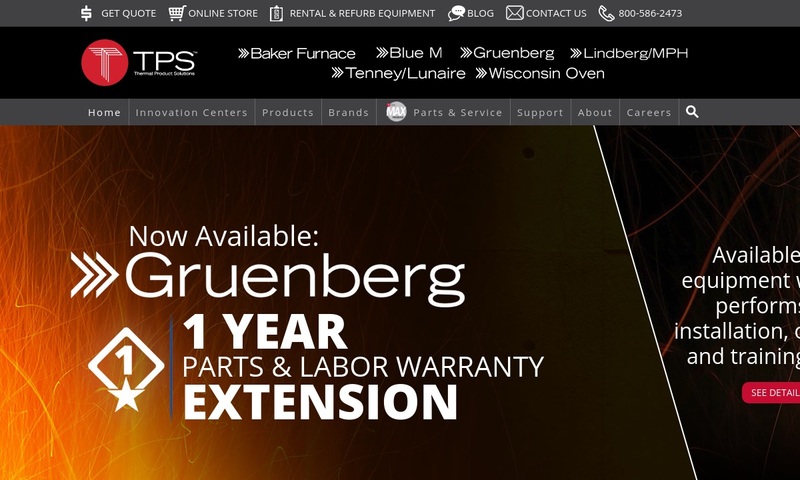 Through its Gruenberg and Blue M brands, TPS offers a range of standard and custom industrial drying ovens. Delivering durability, innovation, and superior performance, Gruenberg ovens accommodate temperatures up to 1200F. 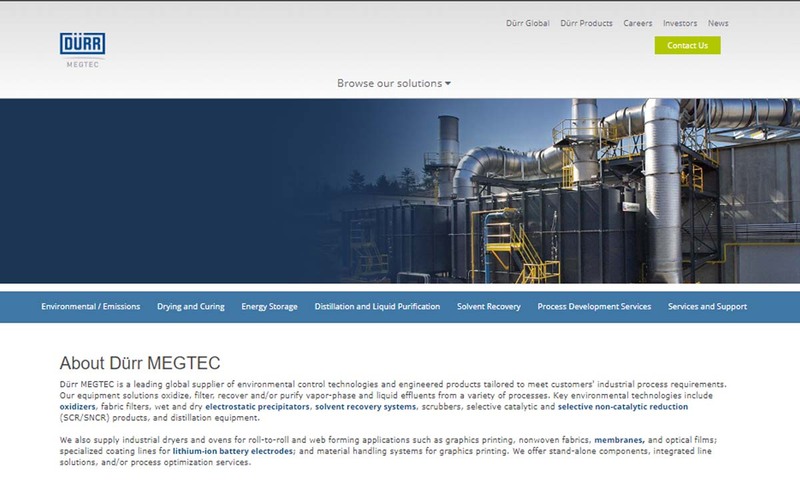 Dürr MEGTEC provides drying systems to the printing, coating and laminating industries for paper, film, foil and other advanced web-based materials processing. People have been drying food and clothing for thousands of years, using various mechanisms, including smoking, burying food in sand, freeze drying, sun drying, and wind drying. For thousands of years, people used drying as a way of preserving food for themselves and for trade. It wasn’t until the early 1700s that people began mechanically drying food. One of the first sets of people to ever do so were the Frenchmen Chollet and Masson. They discovered that they could send wet, pressed vegetable pulp through a tunnel heated to 105℉ in order to create dry cakes. While the cakes weren’t particular tasty, they were nutritious and much less perishable than other food. The precursor to modern rations, they were the ideal snack for soldiers and sailors. Many years later, the famous cereal moguls C.W. Post and W.K. Kellogg both used similar methods to create their goods. They sent crushed grain paste through ovens, where the heat turned them into flakes, thus making cereal. After that, as processed and packaged food became more popular, other manufacturers used industrial drying too in their own commercial food facilities. Dryers – Carrier Vibrating Equipment, Inc.
Around 1833, American salt miners began employing mechanical evaporating in order to purify brine and produce high quality salt. Later, they transferred this method from open pans to closed vacuum pans. Eventually, they moved to wood-burning salt evaporators, or furnaces. A close relative of the industrial dryer is, of course, the small domestic dryer, like the clothes dryer. One of the earliest mechanical dryers was the ventilator, invented by a Frenchman named M. Pochon between 1799 and 1800. His ventilator, which consisted of a perforated metal drum and a hand crank, presented people with a more efficient way to dry their clothes. To use it, they simply had to fill the drum with wet clothes and use the hand crank to turn it over an open fire. Pochon’s invention certainly had some flaws. For example, clothes dried this way usually smelled like smoke and could even become sooty. However, it laid the foundation for the modern tumble dryer. In 1938, American J. Ross Moore designed the first electric tumble dryer. A few years later, Brooks Stevens, an industrial designer, added the dryer window. He also made the dryer more affordable. This kicked off the golden age of the tumble dryer and commercial dryers. Throughout the 1940s and the 1950s, manufacturers came up with a variety of advanced features, such as timers, cool air drying, temperature control, and dryness sensors. Around this same time, during World War II, biologists began freeze drying substances like bone tissue, blood, and penicillin. They discovered that in doing so, they could make the substances last much longer. This was hugely helpful to the nurses and doctors at field hospitals. As the presence of dryers became more solidified, scientists and engineers branched out and used dryers for other applications. They also upgraded their drying components, trading out old materials for stainless steel, and switching out trays for drums and screens. Today, the uses and capabilities of industrial dryers grow continually; they are increasingly essential to markets around the world. As time goes on, we can expect them to become more efficient and greener. Usually, industrial dryers work through evaporation, or the process by which a liquid is converted into a gas and diffused into the atmosphere. Sometimes, dryers also engage in sublimation, which is when a solid changes directly into a gas. All of these dryers perform drying action using one of three methods air drying, spray drying, and infrared drying. Of these, air drying is the most common. It works simply, by bringing materials being dried into direct contact with cold or hot air. Examples of cold and hot air dryers include fluidized bed dryers, rotary dryers, flash dryers, and freeze dryers. Fluidized bed dryers, also known as fluid bed dryers, dry using the power of intensive heat/mass exchange. To work, the substances or materials to be dried are set on a permeable surface inside the dryer. Here, they are struck with a gas or air heating element until the particles inside begin to vibrate slightly, indicating that the force generated by the air is slightly greater than the pull of gravity. Once this happens, users may rest assured that even, thermodynamic drying has taken place. Fluidized bed dryers can be used to dry powders, pharmaceuticals, and foods that are mostly uniform in size, like cereal. Conduction dryers are dryers that dry goods and materials by passing heat molecules directly through their molecules. The conduction causes said molecules to vibrate more quickly, and thus warm up. Most often, people use conduction dryers to dry exceptionally wet or exceptionally thin materials. Convection dryers work like heaters. They dry items by circulating dry airborne heat energy. Usually, they circulate this air using temperature-controlled fans, or blowers and air duct systems that circulate outside air. Regardless, with convection dryers, the drying air is always hotter than that of the item it is drying. Most often, people purchase convection dryers to dry things in target areas, like a particular room. They work on solids, liquids, and gases. Rotary dryers, which are sometimes called drum dryers, are composed of large, rotating cylindrical tubes. To dry products, operators place products and materials inside the dryer, where they will pass through one or more chambers. Inside these chambers, products come in contact with hot air as they tumble. Moisture particles may encounter the hot air directly as they pass through a compartment, or they may encounter it indirectly, as it radiates from a separate chamber. Rotary dryers are useful in the drying of a number of substances, most notable powders such as industrial chemicals, laundry detergent, and metal powders. Flash dryers are pneumatic machines that dry moisture particles suspended in material or air streams within minutes. They work quite simply; a short burst of high heat comes forth as materials pass through the drying duct. Freeze dryers work by first dropping air temperature so low that the substances become so cold that all moisture within them freezes. Then, they heat up the now-ice just enough so that it turns into water vapor without ever turning back into a liquid. This transition, called sublimation, leaves the substances completely dry. Freeze dryers are used to preserve sensitive materials like penicillin and blood plasma, as well as to produce instant coffee. Spray dryers, somewhat counterintuitively, use hot steam to achieve dryness. To work, automated machinery or human operators first direct substances into the dryer, where the dryer separates any present solids. Then, the dryer sends the remaining substance into the aforementioned stream of hot steam, which evaporates moisture. After the moisture is vaporized, operators can collect and dispose of or recycle any remaining dry solids. Users may maintain the steam spray as a constant stream, or they can turn it on in batches. Used with continuous dryers and conveyor dryers, spray dryers mostly service applications in the food processing, pharmaceutical, and pollution control industries. There, they are used to dry food flavorings, salts, pigments, and more. Infrared dryers use the energy produced by infrared wavelengths to dry target materials and products from the inside out without overheating them. Infrared dryers are able to do this because, instead of being absorbed by the air, infrared radiation is absorbed by solid matter, where it matches its characteristics. Industrial dryer manufacturers may produce infrared dryers as quartz tube types, short wave lamp types, or perforated panel types. Infrared dryers are used in paper production, apparel, ink-drying, textiles, paint baking, and adhesive curing, among other processes. Tray dryers, also called vacuum dryers or vacuum tray dryers, are industrial dryers that are used routinely for pharmaceutical purposes. Specifically, they are used to dry high-grade, temperature, and oxygen-sensitive products, as well as hygroscopic substances and lumpy, glutinous products with low pomposity. Steam tube dryers are a variation of the rotary dryer; they tumble materials inside a rotating cylinder that is attached to a series of small internal tubes that effectively increase heat transfer area. In addition to these dryer types, there are some dryers out there that are designed for very specific purposes, such as sludge dryers, biosolids dryers, suspension/paste dryers and dispersion dryers. Sludge dryers exist solely to dry solid matter and evaporate water inside sludge and slurry as much as possible, in order to reduce their volume and weight. Biosolids dryers are closely related to sludge dryers. They dry sewage waste so it can be treated, recycled, and used as fertilizer. Suspension/paste dryers are a type of fluidized dryer designed specifically to homogenize and dry suspensions, pastes, and solid filter cakes. Dispersion dryers are quite similar to suspension dryers. They are used to dry wet pastes, slurries, and cakes. Every industrial dryer type has its own unique set of components, but all in all, industrial dryers tend to feature the following: stainless steel rectangular boxes or cylindrical tanks, gauges, intake valves, output valves, openings, connections, and controls. Continuous dryers, or those dryers that continuously dry incoming materials, often also feature conveyor belts to bring in those materials. When designing industrial dryers, manufacturers aim to create machines that are strong, corrosion resistant, and capable of handling the type of loads their customer requires. To make a custom dryer tailored to fit your needs, they consider specifications such as whether you will be engaging in continuous drying or you will be drying in batches, the size of your operation, the type/qualities of the material to be dried, and your standard requirements. They vary their construction by shape and size, capacity (how many pounds of material they can dry per hour and how much material they can hold at once), automation level, and fabrication processes. For example, if manufacturers want the dryer to be devoid of seams, they will weld it together. They will also weld your dryer if you anticipate it undergoing a lot of stress and vibration, since welding will make it stronger. If the presence of seams does not present an issue, they may weld the machine together. In addition, manufacturers may integrate your dryer to work with other equipment, like a part washer, as part of a team. 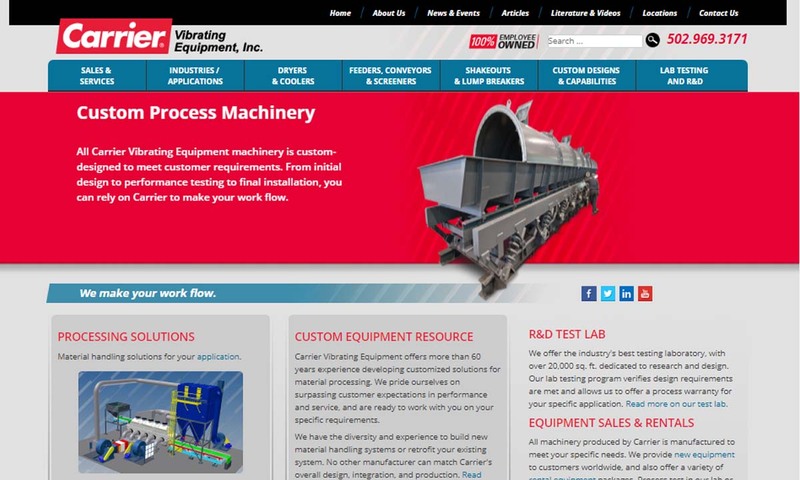 To learn more about what any given industrial dryer manufacturer offers in the way of customization, reach out to them to talk. No matter your industry, your industrial dryers need to meet the energy standards put out by the Department of Energy, and the safety standards put out by OSHA. It is very important that you find a manufacturer well-suited to you. Such a manufacturer will understand your requirements and produce a dryer meeting those requirements within your budget. In addition, the right manufacturer will be willing to deliver your dryer to you in a reasonable amount of time. If you wish, they will be able to set it up for you or provide you with a reference to a good third-party installer. They will also be able to provide you with the level of post-installation support that you desire. 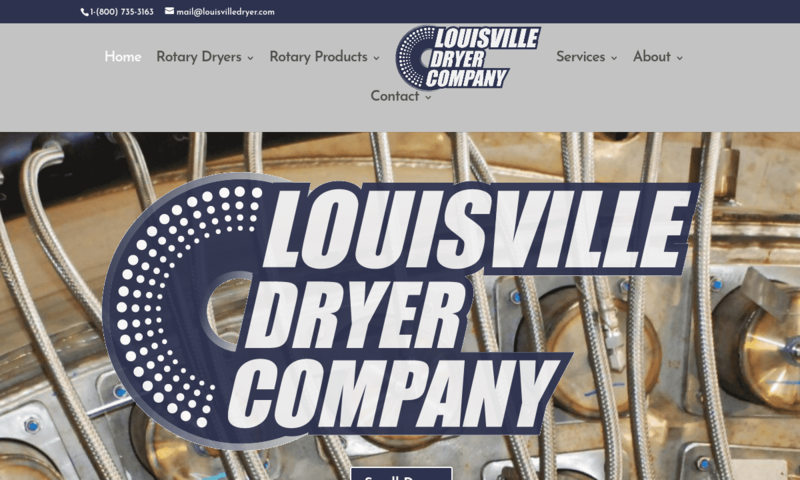 Find a manufacturer like that by checking out the industrial dryer suppliers we have listed on this page. Good luck!